You can walk in a visit us today! 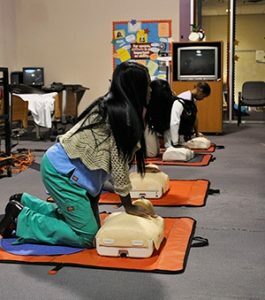 Prism Health Aide Training school is conveniently located at 8040 Roosevelt Boulevard, 3rd Floor, Philadelphia, PA 19152. To speak to an Admissions Representative at Prism Health Aide Training School right now, give us a call at 215-329-1322. We’re happy to answer any questions you have and help you explore your options. You can also contact Prism Health Aide Training by filling out the sign-up form on this page. Submit the form and a friendly and knowledgeable Prism Health Aide Training Admissions Representative will be in touch with you shortly.